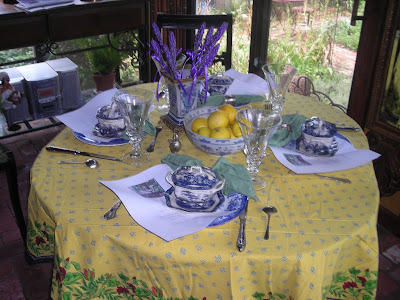 It's too hot for luncheon in the garden but a Provencal luncheon is just the thing to beat the heat. The lavender is blooming profusely and I'm making wands or bottles of as much of it as I can -- the perfect centerpiece instead of flowers. And what better addition to the centerpiece of a Provencal table than a big bowl of lemons! At Linderhof the dishes are always blue and white (or white edged with gold) and the blue and white goes well with the sunny yellow of the tablecloth. I set the table in the European style with the cutlery face down. A menu, of course, at each place and the napkins in my silver napkin rings. The soup in little blue and white covered tureens from Nell Hills. Soup in the heat of summer? 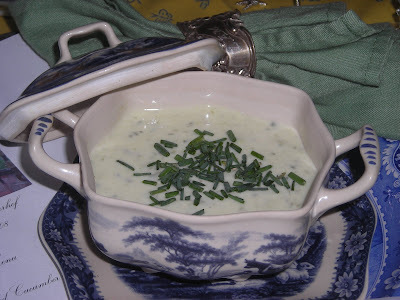 Ah, yes, a cold soup -- chilled cucumber soup garnished with a shower of garden chives. Cool and refreshing and the perfect way to start a summer luncheon. 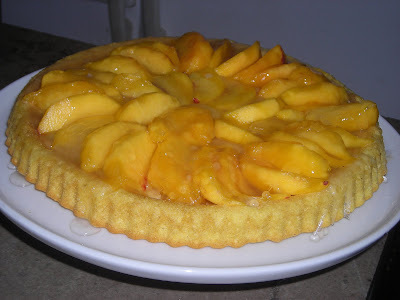 Dessert is an old favorite -- a German torten made with fresh peaches. 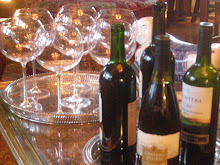 A perfect way to end a Provencal luncheon. 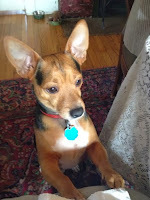 Please join my friend Susan at Between Naps on the Porch to see the other great tables set up for this Thursday. ooooo! YAY! this is so gorgeous, and that torte looks divine. I'll be over in a few minutes! :) LOL! This is so pretty, Martha. 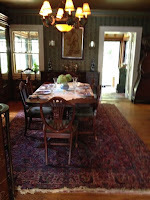 I used to have a tablecloth so similar to yours from Williams~Sonoma. Of course, yellow and blue indeed compliment each other! Love the little soup tureens! Do you have the source for the recipes? The soup and tart look so delicious!! A lovely Provencal tablesetting and those Lavender Wands are beautiful and they are perfect sitting right next to the bowl of lemons. Nothing says "Provencal" like lavender and lemons. I just wish I could get my lavender to bloom enough to make some. Lavender struggles in our heat and humidity but I think it may be our red clay or sand too. Your cucumber soup looks so very refreshing. Adorable! I love those little tureens...gotta love nell hills too! I love everything about your table! It must smell heavenly. Your soup bowls are wonderful! Dear One, I have never had cold soup before. I'd like to try it. Your table is charming and the food looks wonderful. I want to be invited next time...it looks great. Thanks for visiting my place . What a pretty table you've set. We've had lovely weather here this week, and today being a holiday we have had breakfast and lunch outside.......dinner will be there too, I'm sure. Oh how beautiful. I love those individual soup tureens! I've always enjoyed blue and yellow together! Hi Martha, I love your pretty table and the blue and white dishes and on the torte looks divine!! Love your lovely table - the yellow and blue and white are so pretty together! Now those little soup tureens with lids are adorable! I want some! Your food looks divine! The blue and white is simply divine! I like the idea of a menu at each setting. Thanks for the show and tell! I love the blue and yellow. The lemons are the perfect punch of color. The soup looks so very good with the sprinkling of chives. VERY pretty table! Your food looks wonderful! Would it be possible to get the recipes? I may have to drive up to Nell Hill's this weekend! Never been, but definitely within driving distance from Tulsa. Your table is lovely! I love the individual soup tureens. They look so pretty against the yellow tablecloth. The chilled cucumber soup and German peach torten look delicious! ooooooh, that pie looks so yummy!! I want to eat it!! ooooooh, that pie looks so yummy! I want to eat it!!!! So very pretty, Martha! The soup & torte looks wonderful, too! Yummy peaches! Love your table...blue and yellow never fail! Oh, I'm just drooling over those little soup tureens. I saw one in brown last weekend at the Nashville flea market, but I didn't get it. After seeing yours, I'm kicking myself for buying it. Beautiful table! This is all very pretty! Love the lavender wands! Oh I do love those tureens! And the soup sounds like the perfect thing this season! The lavender and buttery yellow~ Wow that was so beautiful together! 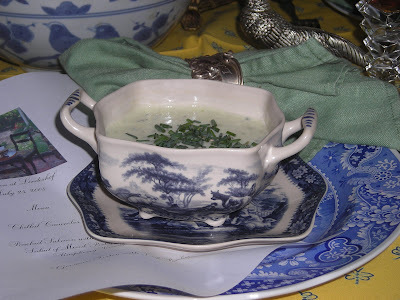 And chilled cucumber soup... Sounds delicious! Oooh, I love the colors of your setting. It's so Frenchy!I love the soup tureens too! Have a great 4th! Looks delicious! Love your tablecloth. Speaking of Nell Hill... just found out this morning that she is coming out with a Christmas Book...should be trouble for us loyal fans! Have a great 4th of July and be sure to say "HI" to Jim for me! Is that in your back porch area?? What a lovely table. The torte looks heavenly-- like it melts in your mouth. 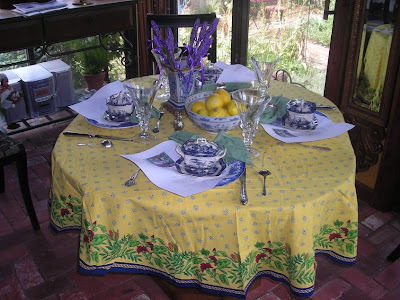 The lemons on the table is just wondeful-- great dash of color. Good morning, Martha! The yellow and blue together is lovely. And I so admire you women who actually have food to accompany your tablescapes! I'm a little lopsided in that department. This is so pretty. And yes you'd better try to beat the heat. It's 100 degrees in the shade here most days! Happy and safe holiday to you! Blue, yellow and lavender definitely take me to France. It is another lovely table, Martha. How delicious looking and what a neat setting. Love the blues and yellows! Perfect setting...and yum...that soup is the perfect ticket for the heat here in So. 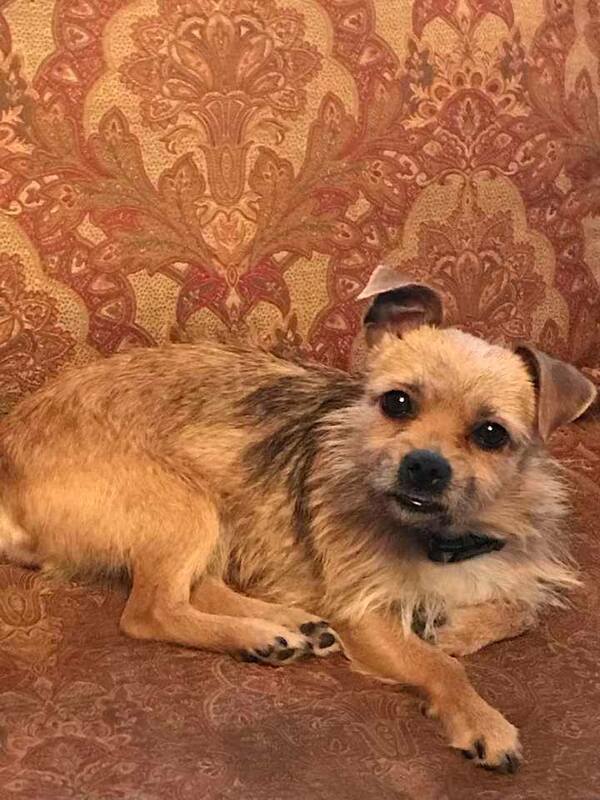 Cal.! Have a Happy 4th! The yellow and blue look great. Your room and tables are always so inviting looking. I have never had cold soup before, but it sounds good. Gorgeous - love the tureens!!!!!!!! Now I can't wait to dig out my yellow table cloth! 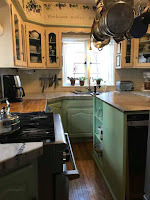 I just painted my kitchen a Provencal gold, so thanks for the table inspiration!